The government has slightly loosened rules that will lower the stamp duty for the construction sector, but industry players want things to return to the way it was last year. Consulting engineers, architects, property developers and contractors say the government's latest stand raises the cost of doing business and hurts efforts to stimulate the economy. This covers consulting contracts, operation and maintenance contracts, maintenance contracts and facilities services contracts. It means that a RM10 million construction contract will attract total stamp duty of RM50,000. Previously, the stamp duty on an ordinary service agreement was just RM10. On Wednesday, the Finance Ministry said on its website that main contractors with government contracts do not have to pay the 0.5 per cent stamp duty. But subsequent contracts between the main contractor and subcontractors are not exempt and further subcontracts are charged a RM50 flat fee. "The Finance Ministry, by insisting the private sector pay such astronomical sums in stamp duty, will cause many professionals in the construction industry to face cash flow problems," Association of Consulting Engineers (Acem) president Dr Abdul Majid Abu Kassim said. Master Builders Association Malaysia (MBAM) president Ng Kee Leen said that contractors are already paying a levy of 0.125 per cent on construction agreements to the Construction Industry Development Board. This money is used to train and develop construction executives. "Why are we paying four times more to the Inland Revenue Board? What will the money be used for?" Ng questioned. Real Estate and Housing Developers' Association Malaysia (Rehda) president Ng Sieng Liong said the higher stamp duty will push up renovation costs. "Properties will also become more expensive after factoring in these extra costs," he said. Malaysian Institute of Architects (MIA) president Lee Chor Wah concurred with Abdul Majid. "The amendment was supposed to simplify stamp duty assessment, but it has turned out to frustrate business investments instead. The July 15 announcement is worsening the recession we're facing," Lee said. Already, more than half of its member architects have had to take job and pay cuts amid the tough economic climate. Acem, MIA, Rehda and MBAM are renewing their appeals to the government to revert to last year's flat fee of RM10. When it comes to the property sector, the old adage “location, location, location” will always be relevant, more so during an economic downturn and it’s no different for the serviced residence sub-sector. Managers and operators of serviced apartments within “renowned” areas in Kuala Lumpur, such as main board-listed The Nomad Group’s The Nomad Residences Bangsar, are still registering good occupancy rates. But prime location and stable occupancy rates aside, The Nomad Group chief executive officer Hew Thin Chay says it is always trying to improve its services for its residents. “We are always continuously finding ways to improve the amenities and services to our guests, such as making the residences technologically enhanced with broadband,” he tells StarBizweek. The serviced apartment had an 87% average occupancy for first quarter of 2009, Hew says adding that there was an increase in occupancy compared to the preceding quarter. Hew says yields have been small but steady. The fully furnished apartments come with 24-hour security, CCTV, concierge service, free WiFi, housekeeping services, swimming pool, gymnasium, covered carparks and shuttle services to surrounding areas in Bangsar are also provided. The serviced apartment was officially opened in July last year. Hew says the serviced residences were targeted mainly at business executives and their families, but were also popular with locals. The apartment offers a choice of 10 one-bedroom units (RM7,500 per month) and 48 three-bedroom units (RM11,500 per month). In light of the downturn, Hew says there were no plans to reduces its rates. What’s more, residents of The Nomad Residences Bangsar are also privileged to “residential” rates rather than commercial rates. “Our rates are already competitive and it includes utilities, all in one bill,” he says. The economic downturn, meanwhile, has had a bit of an impact for relative newcomer Virgin Properties Sdn Bhd, which has been operating Lanai Gurney Corporate Suites off Jalan Ampang since April last year. Chief operating officer Melissa Ram forecasts tough times ahead and highlights the importance of adding new services. “We have many plans lined up for further improvements to the building, such as WiFi services to meet the current demands of our residents. She adds that the average occupancy rate for the first six months of 2009 was within the region of 50%. “As the economy suffers, people tend to cut down their travelling, especially for holidays and business trips. Trips also tend to be shorter, perhaps just for one day. However, Melissa is optimistic about the future. Located just two kilometres away from the KLCC area, Lanai Gurney targets mostly expats, corporate clients, government agencies, business travellers, filming groups and students. Its rates range from RM1,000 to RM3,800, depending on the size and the view that the unit commands as well as the duration of the stay. Based on commercial standards, Melissa says the rates of the Lanai Gurney were already competitive and the company has no plans to reduce rates. Ken Holdings Bhd executive director Sam Tan meanwhile says he is excited about the response for its Ken Bangsar high-end serviced apartments, which is expected to be launched later in the year. So far, about 50% of the units have been sold, averaging between RM700 and RM1,000 per sq ft.
“Nearly half of the buyers were foreigners. Our other purchasers are those within the upper market,” he says. Tan says sales have been frozen for the time being and would resume after the launch, adding that he was optimistic that the economy would “improve” by then. According to a city-based realtor, occupancy rates for high rise residential properties in the KLCC area and established suburbs like Petaling Jaya, Damansara Heights and the surrounding areas have been good so far. She says the reason the suburb markets were steady was because most of the residents purchased the property for their own use. The recent launch of a number of new greenfield residential projects in Kuala Lumpur including Sky Residences and St Mary residences may spell the beginning of better times to come for the property market. Since the global financial crisis hit the country’s shores around last September, developers have resorted to clearing their unsold stocks and held back new project launches for fear of poor take-up for the projects. Although the market outlook is still uncertain, developers are already making plans for more project launches in the coming months after seeing a pick up in the take-up for property products in the past few months. Residential loan approvals have turned positive since March also point to stronger take up among buyers, although some of the loans could be due for refinancing activities. Most developers are taking the initiatives to test the market’s response by getting their show units ready and opening up their projects for registration from interested buyers to gauge the market’s response. If a project receives a “critical milestone” with enough registrations in place, they will be open up for sales and launch. The coast in the global economic front is still not clear as a potential recovery is stunted by dampened purchasing power in the advanced economies. If anything, it will be a long and slow process towards recovery. Most economists are not convinced that the economy will be bottoming out any time soon and are more confident of a pick up around the second quarter of 2010 where more “sustainable green shoots” will emerge. Asia has been lucky this time around and has been spared more severe backlashes experienced by their Western counterparts. This is underscored by China’s 7.9% GDP growth expected for this year and India’s more than 6% growth in 2009. If the Government’s market liberalisation measures and the two economic stimulus packages are implemented efficiently and expeditiously, they will be able to give rise to very positive results for the economy in the coming months. The most important factor will be a return of the people’s confidence and purchasing power to ensure a more sustainable economic recovery. As for the property market, developers have to be prepared with the right product offerings to attract buying interest. Mass housing products including terrace houses and semi-detached houses priced below RM1mil will continue to be in great demand. As the Klang Valley has many of such projects, it is already in the frontline to recover faster than other parts of the country. At this point, most of the new launches comprise mainly high-rise condominiums around the city centre vicinity. But even these residences have been redesigned with smaller and more affordable units. Buyers can look forward to more of such projects in the coming months. Developers with the right products, right location and pricing are already experiencing better take-up for their property products and sales increase. High-rise residential living, which is becoming very much a part of Malaysian lifestyle, will increasingly grow in popularity with the rapid urbanisation in the country. With the scarcity of land becoming more acute, especially in the cities, more developers will be opting to build high-rise residences than landed units in the coming years. It is more sensible to build high-rise buildings with an average density of 50 units per acre, which will reduce the land requirement to a fourth of landed properties. High-rise condominium living is also gaining popularity among city folks. The people’s changing lifestyle and the need for easier accessibility and convenience of city life are some of the major contributors for opting for high-rise living among city folks. Other reasons that are often cited are the security, peace of mind, and convenience of the services provided by the gated and guarded concept of high-rise living. With the growing popularity of high-rise living, it is important that high-rise dwellers should be educated on their personal safety measures in the event of emergencies such as fire or tremors. Concerted efforts and close cooperation for fire and evacuation drills between the developers, property managers, residents and the rescue authorities need to be conducted regularly to come out with the best evacuation and rescue plans to ensure residents will feel safe and secure in their high-rise abodes. ·Deputy news editor Angie Ng hopes all Malaysians will be able to forge ahead and contribute towards a more sustainable recovery and growth path for the country. The Housing and Local Government Ministry is looking at further tightening the laws and punishing errant developers that do not complete their housing projects. There is a great deal of excitement that comes with booking one’s first home – you finally own a property which you can call your own (well, technically it belongs to the bank until the loan is repaid, but you are close), the stark relief when you have secured the financing for it and later, the mounting anticipation as you wait to occupy the property. But alas, the project is stalled and you’re left saddled with financing a house which has indefinitely been abandoned. Sounds familiar? You’re not alone – there are some 31,337 housebuyers who currently face such predicament. For over two decades, the property sector has been grappling with the scourge of abandoned housing projects, which has understandably caused hardship to many buyers. It remains a major thorn till today. Based on data from the Housing and Local Government Ministry, as at May 30, some 148 housing projects have been abandoned, involving a total of 48,664 housing units (of these, 31,337 units have been sold). On its own, these numbers may not seem astonishingly high but when viewed from the perspective that there are tens of thousands of people who are aggrieved by such failed projects, it becomes a major problem that needs to be resolved urgently. The biggest headache for housebuyers when a project is stalled is monetary losses – the victims have to settle monthly loan repayments and deal with much anguish as, more often than not, there’s little chance of reviving these projects and getting the houses completed. Over and above that, many have to continue forking out rental for their current abode. Needless to say, from an industry perspective, the economic cost is staggering; abandoned projects also affect many other related industries (over 140) including suppliers of construction materials, transportation companies, contractors and consultants. In an interview with StarBizWeek, Housing and Local Government Minister Datuk Seri Kong Cho Ha says although only 1.8% of all projects licensed by the ministry are abandoned, project abandonment is serious as the casualties are consumers and their hard-earned money as well as many other related industries. “We are looking at further tightening the laws and punishing errant developers that do not try their best to complete their housing projects. We do not want errant developers to spoil the reputation of the whole industry,” says Kong. Since 1998, the ministry has been collecting data on the matter and it has also taken several measures to tackle the problem of abandoned housing projects. There are several stages, as defined by the ministry, before a project is declared abandoned. If it has passed its promised delivery date by 10%, it’s considered late; if the delay stretches beyond 10%-30%, then it’s considered “sick”; and finally, if no work has been carried out or no workers are on the project site for up to six months, then it is deemed abandoned. Noting that there are multiple reasons why a project is stalled, Kong points out that ultimately the responsibility lies with the developers to ensure their projects are completed on time. “If they encounter problems, they have to take the necessary actions to overcome them and seek help if necessary. At the end of the day, the interests of all the stakeholders – developers, buyers and bankers – have to be protected,” he adds. Kong says the Housing Development (Control and Licensing) Act, 1966 (Act 118) is meant to ensure the orderly development of the housing industry and to protect house buyers. “The legislations are in place to ensure the success of housing schemes and to minimise abuse and quarrels between developers and buyers. Section 7 (F) of the Act stipulates that developers have to submit half-yearly reports to the ministry on the progress of their projects. “If this requirement is duly adhered to, any work delay will raise a red flag and will be watched early on to prevent the problem from escalating into a full blown abandoned project,” Kong says. Invariably, he says, when projects are abandoned, fingers are pointed at the ministry that it should take over with the aim of reviving the projects. Instead, he points out that the ministry takes on the role of a mediator who looks for white knights to help revive abandoned projects. Of the 148 abandoned projects, eight projects involving 4,591 units (4,306 units sold) are at various stages of being revived by Syarikat Perumahan Negara Sdn Bhd under the Government’s recent economic stimulus packages, 14 projects with 7,750 units (5,139 units sold) are in the process of being revived by white knights, and six projects with 1,361 units (1,262 sold) are being revived by the original developers. But not all abandoned projects can be resuscitated. Some 12 projects involving a total of 1,601 units (554 sold) have failed to take off and the ministry is in the process of mediating a settlement between the developers and buyers. Consumer groups and industry players are calling for the protracted problem of abandoned projects to be nipped in the bud through stricter enforcement of the laws and for punitive measures to be meted out on errant developers. They say abandoned projects will continue to plague housebuyers unless more stringent punishments, including jail terms, are meted out to offenders. By punishing the “few bad apples” who have failed to fulfil their obligations spelt out in the sale and purchase agreement with housebuyers, industry players that have duly performed their duties in building and delivering their projects on time to buyers will hopefully be spared the bad image. The call for stiffer penalties has the support of the Real Estate and Housing Developers Association (Rehda), which has urged the Government to take action against these “culprits”. 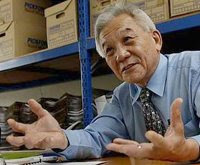 President Datuk Ng Seing Liong says the association does not condone any project abandonment caused by non-compliance to the laws, in particular the Housing Development (Control and Licensing) Act and its subsidiary regulations. “Developers who are facing problems completing their projects should seek help from the relevant authorities including the Housing and Local Government Ministry that has a team to help solve problems relating to delayed and ailing projects,” Ng says. He adds that the current lull in the market provides a good opportunity for developers with the expertise to step forward to help revive abandoned projects as part of their corporate social responsibility. “Whatever the reasons may be, it is certainly crucial for developers to uphold their responsibilitites towards housebuyers by ensuring proper feasibility studies are conducted to ascertain a project’s viability before it is launched and duly complete their projects on time. “Developers should also adopt proper cash flow management to avoid liquidity problems and to fully abide by all the guidelines spelt out in the Housing Development Act,” Ng adds. All that Gevanantham Marimuthu (Geva) wanted was to move into his dream home in a “botanical township” which he had bought at Lembah Beringin, located at the fringes of Tanjung Malim, approximately 50km away from Kuala Lumpur. Sadly, he’s been waiting to do that for 10 years. Today, Geva, alongside some 2,000 buyers of properties in that area, are still in the dark on the status of the project. The project’s developer was a subsidiary of Land & General Bhd (L&G), Lembah Beringin Sdn Bhd. Lembah Beringin has been under receivership since 2005. L&G was badly hit during the Asian financial crisis in 1997/98 and only two years ago a new shareholder, Mayland, emerged as a key shareholder in the company. Geva is the chairman of the Lembah Beringin House Buyer’s Association, a group comprising the victims of the Lembah Beringin project. “We were supposed to have received our dream homes by 1998 and 1999. When the time drew nearer, we received evasive answers,” he laments. Geva bought the house for RM210,000 and has been servicing the loan since 1998 up until 2006. “I stopped paying because I did not see why we should be paying for something that we did not own,” he says, unfazed by the potential consequences. “I actually want the bank to take me to court,” Geva says, in sheer frustration. The project was, at the early stages, touted as a botanical township comprising mixed residential, commercial and institutional developments including an 18-hole public golf course. (The golf course has been completed and is quite popular over the weekends). He says just over 2,300 units were launched, of which over 80% were sold and some 60% have been completed and ready for occupation while 962 units were abandoned. Of the abandoned units, about 649 have been sold, he says. Geva says everyone was left in a state of disarray and unsure of the proper recourse or solutions. “Fortunately for us, the National House Buyers Association offered to help and through its mediation, we met up with the authorities from the Housing and Local Government Ministry. However, despite numerous meetings with the ministry, many issues have yet to be resolved,” he says. “The focus of all those meetings was primarily on the viability of rehabilitating the township and not so much on the social and economic welfare of the buyers,” he laments. When contacted, L&G confirmed that Lembah Beringin Sdn Bhd is under receivership but declined further comment. A spokesman for Ferrier Hodgson MH Sdn Bhd, the receivers and managers of Lembah Beringin, said it has been looking for a buyer since 2005 to revive the project. “We are close,” he says. FOR Christopher John and many other aggrieved buyers of the abandoned Bandar Golden Valley Golf Resort in Jasin, Melaka, the road towards finding a solution has been long and gruelling. The resort township, valued at a reported RM380mil started out as a joint-venture between Yeng Chong Realty Sdn Bhd and MBSB Development Sdn Bhd (MBSB), a unit of listed Malaysia Building Society Bhd (MBSB), which is a subsidiary of the Employees Provident Fund. Construction was to begin in 1999 and it primarily involved bungalow lots with a starting price of RM69,000 onwards. According to Christopher, the properties were supposed to be handed over (to the purchasers) in 2002 but it never happened. “When some of us decided to visit the site in Jasin, we were shocked to find nothing but an oil palm estate! It remains like this until today,” he laments. He is peeved that no one has offered to provide a clear picture or explanation of what was happening. “This went on for years, with no one giving a straight answer as to what was truly happening. Purchasers were being kept in the dark, but we were still being told to continue to pay,” Christopher says. When contacted, an MBSB spokesperson said that its role in the project was to provide financing while Yeng Chong would develop the land. However, things did not happen as planned due to some “issues” and the project failed to take off. It is further believed that MBSB is taking legal action against the developer. A small group of buyers have formed the Bandar Golden Valley Action Committee (BGVAC) to coordinate its actions. Recently, with the help and advice of the National House Buyers Association, the committee met up with the Public Complaints Bureau, bringing together Yeng Chong, MBSB and the purchasers for the first time. “The BGVAC comprises about 80 people. We want to reach out to the other buyers who are probably still paying and don’t know that the project has been abandoned. We also want our money back – at market value and with interest. I think it is only fair,” Christopher says. Despite having adequate laws in place to throw the book at developers responsible for abandoned housing projects, industry participants say enforcement activities need to be stepped up if the issue is to be addressed effectively. National Housebuyers Association (HBA) honorary secretary-general Chang Kim Loong says strict monitoring and implementation of the existing laws will ensure the safety nets put in place under the Housing Development (Control & Licensing) Act, 1966 (Act 118) are enforced by the governing authorities. Over the past decade, the Housing and Local Government Ministry introduced various amendments to plug the gaps in the Act and impose stiffer rules to enhance protection for housebuyers. Following amendments in 2006, a Housing Controller, who is also the ministry’s secretary-general, has the clout to freeze the Housing Development Account of developers found to be flouting the Act. Those who commit offences like not opening or maintaining the Housing Development Account or building without licence are subject to higher penalty of RM250,000 compared with RM50,000 previously. Engineers, architects or trustees who flout the Act could also be fined a maximum of RM100,000 or be jailed up to five years or both. On claims that there are cases whereby the consultants (architects, engineers and surveyors) may have falsified reports on the stage of a project’s progress to allow the developer to make withdrawals from their Housing Development Account, Housing and Local Government Minister Datuk Seri Kong Cho Ha urges the respective professional bodies to take stern action against their members if these claims are found to be true. Those who flout the Housing Developers (Control and Licensing) Act regulations and the Housing Developers (Housing Development Account) Regulations will be fined RM20,000 or face up up to five years’ imprisonment. Despite all of these measures, Chang says abandoned projects continue to persist. With that, he is calling for additional measures. “The shame game that involves blacklisting developers and publishing the names of people behind these companies in major newspapers and the Housing and Local Government Ministry website will be effective to weed out the culprits from repeating their offences. “In order for this to work, all the loop holes must be plugged to prevent these offenders from resorting to using nominees to avoid detection,” he adds. Chang urges buyers to be more discerning and verify the reputation and reliability of a developer before signing on the dotted line. “It is safer to buy from reputable developers that have proven track record of making timely delivery and building quality products. They should ask all the questions about a project and exercise their rights as buyers,” he adds. One of the most commonly cited measures to help ensure housing projects are completed on time and not end up being abandoned is the 10:90 build-then-sell (BTS) system that was first announced in April 2007 by former Housing and Local Government Minister Datuk Seri Ong Ka Ting. With the amendment to the Housing Development (Control & Licensing) Act, developers who adopt the BTS system will enjoy fast-track approval for various applications, and a RM200,000 deposit exemption for housing development licences and stamp duties. Despite the many “carrots” to promote the system, the BTS system is still getting lukewarm response from developers. The main reason cited by developers is that banks are not lending their support and are still insisting that at least 50% of a project has to be sold before a developer can qualify for a bridging loan. They said without the banks’ support, only financially-strong developers can afford to go ahead to build their projects first before opening them up for sale. It has been two years since the BTS system was launched and although it was supposed to be implemented this year, it is understood that the law will not be enforced just yet pending a recovery in the country’s economy. Proponents of the BTS system, which includes the HBA, say it would be one of the best alternatives to protect buyers from the devastating effects of project abandonment. The association has proposed an abridged version of the BTS system, that will ensure buyers only have to make a 10% downpayment. Only upon receiving vacant possession with all the necessary pre-requisites (certified fitness of occupancy with keys, ownership papers, utilities supply such as water and electricity) for their house, buyers have to pay up the balance 90% of the house price. Chang says should a project become abandoned and buyers fail to get vacant possession of their property, their exposure will be their initial 10% deposit. This makes the revival process easier when the initial exposure is minimal. “This way, housebuyers are better insulated against project abandonment compared with the present sell-then-build system, where the banks will come after them regardless of whether they have received their houses or not,” he points out. It can be extremely frustrating to be at the mercy of property developers who have abandoned their property projects, not least because most of them do not offer any explanation to their house buyers. Dr Ernest Cheong ... ‘As progress payments are disbursed to developers through certificates issued by architects, end-finance banks can be misled into making excessive payments. “Soon” unfortunately, more often than not, turns to years of waiting for the victims. Cashflow problems, demand shortage and budget over run, owing to poor planning by the developer are mainly the causes that lead to projects being abandoned. But while some abandoned projects are caused by unanticipated market conditions and economic uncertainty, including rise in building materials and labour costs, there are many cases where developers have only themselves to blame. Industry observers say there are cases where developers have channelled purchasers’ deposit money for personal use while some others deliberately hold back their projects for better resale prices. There are also instances where developers inflate progress payment claims to draw more money from purchasers and the banks. Observers say this can be done with the help of architects, who are responsible for issuing certificates on the construction progress of the purchased houses, which are then used for progress payment claims. 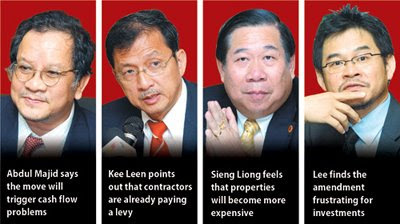 “As progress payments are disbursed to developers through these certificates, end finance banks can be misled into making excessive payments,” Ernest Cheong PTL Chartered Surveyors property consultant Dr Ernest Cheong tells StarBizWeek. “Some of these developers end up not using these inflated payments to develop the housing projects,” he says, adding that perhaps they would channel it for some personal investments. But when these investments sour, the consequences are dire; the developer will not be able to pay the contractors and suppliers and the brakes are then slammed on the construction activities. “This is what contributes to the problem of rising abandoned housing projects,” he says. But in most cases, the culprit is poor planning and research. Developers that rush into a development without comprehensive market study will most likely find themselves stuck in a project due to poor cashflow. “They end up facing poor sales due to the mismatch of supply and demand patterns in the project location,” says PPC International Sdn Bhd executive director Thiruselvam Arumugam. Chan Ai Cheng, the general manager of S.K. Brothers Realty (M) Sdn Bhd, says developers shouldn’t be over ambitious and ought to be realistic. How can property projects be prevented from becoming abandoned in the first place? There are two parties that can contribute to the check and balance system, says property consultant Dr Ernest Cheong of Ernest Cheong PTL Chartered Surveyors. They are the architects who hold the key to withdrawing money from the purchasers’ account through the issuance of certificates used for progressive payment claims and the banks that disburse the money to the developers. “If project architects act honestly and ethically when being persuaded to certify stages of construction, developers would not be able to get more money than they should be getting before the completion of the project,” says Cheong. If there is sufficient funds available with the purchasers’ housing loan accounts with the banks, chances are higher for other developers or contractors to take over and revive the failed housing projects. Meanwhile, the banks can also prevent projects for being abandoned by conducting further due diligence investigations and verifications of truth of the certificates issued by the project architects and presented by the developers. “Banks should not proceed to pay without due diligence. It helps to stop the problem early if they can act as a check and balance system and prevent making excessive over-payments from the borrowers housing loan accounts,” says Cheong. He says banks could appoint independent architects, building surveyors or even property consultants to carry out independent site inspections to verify the truth and accuracy of the certificates. “It is an extra step that costs a little but brings immense financial benefits to the banks,” says Cheong. 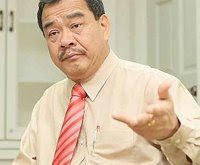 He says the end finance banks concerned would have saved themselves the burden of having to shoulder millions, or even billions, of ringgit in non-performing loans. According to S.K. Brothers Realty Sdn Bhd general manager Chan Ai Cheng, developers should provide for a bigger budget to allocate sufficient funds in the event the project is not a commercial success. In addition, developers should resist the urge to inflate the selling and market price of their housing projects. “When they fail to secure the targeted demand to break even due to high or unsuitable pricing of the product, they are forced to stop mid way through the project,” she says. All in all, the root of the problem is the lack of political will by the authorities to prosecute or fine the guilty developers who are responsible. “Punish severely so that others would be deterred from doing it,” she adds. A step in the right direction is the implementation of the build-then-sell system for the property sector, which is popular overseas. Owning a home is a personal achievement and a dream come true for anyone – but dreams can sometimes turn into nightmares when the unexpected happens, such as when the property you purchase gets abandoned mid-way through construction. In this instance, the victim is usually often left confused, angry and without proper guidance. Fortunately, help is never too far away and there are special groups that aggrieved persons can resort to. Cases of abandoned property projects are especially common for the National House Buyers Association (HBA), a voluntary nongovernmental, non-profit and non-political organisation that strives for a fair, balanced and equitable treatment for house buyers in their dealings with developers. Honourary secretary general Chang Kim Loong says that many aggrieved victims demanded justice and were usually tempted to sue the developers after being left in a lurch. But legal recourse is a tedious process as buyers usually end up with pointless “paper judgements” apart from being burdened with exorbitantly high legal fees. “Legal recourse requires money, energy, stamina and more money. If a person wins in court against the developer, the developer still has the resource to appeal to higher courts,” says Chang. The Federation of Malaysian Consumers’ Associations (Fomca) president Datuk N. Marimuthu says potential buyers should refrain from booking properties that were not yet completed and should be selective of the property they intend to purchase. “Buying property is a one-time investment and people should go for reputable developers, even if the property costs a little bit more. National Consumer Complaints Centre (NCCC) chief executive Muhammad Sha’ani Abdullah concurs, adding that local authorities should conduct background checks on developers before issuing approvals. He notes that the position of financial institutions were often overlooked as far as abandoned projects were concerned. “Even after the projects were abandoned and the banks have written them (the projects) off, buyers still have to pay off their loans,” he says. The NCCC, established under Fomca, was set up to handle consumer complaints on goods and services. According to Muhammad Sha’ani, about half of the complaints relating to housing matters usually concerned abandoned projects. “We received 1,578 complaints in 2006, 2,076 complaints in 2007 and about 2,500 complaints in 2008 relating to housing issues. About 50% of those complaints were with regards to abandoned projects. Sadly, we rarely see a solution to these problems,” he says. HBA’s Chang highlights that it assisted victims of abandoned housing projects to get in touch with other people who have suffered a similar predicament. The HBA also organises meeting session s, where volunteers comprising lawyers, architects, surveyors, engineers and property managers, among others, provide free consultancy services and assist in the drafting of memorandums to relevant government agencies. “We also facilitate meetings between the Housing and Local Government Ministry and the victims and also provide mediation services between willing developers and buyers with a view of seeking an amicable solution,” he says. Chang suggests that the Government should put in place “safety-nets” to pre-empt projects from being abandoned. “By the time a project is abandoned, it is a little too late as it may be years before the Government or local authorities could step in. The authorities and lawmakers are well aware of the highly publicised problems of abandoned projects,” he says. HBA was invited by the Housing Ministry to be part of a recently set up special purpose vehicle – Bahagian Pemulihan Projek Terbengkalai – to look into solving abandoned projec ts. “HBA has reiterated that it’s time to get the property industry to move away from the current sell-then-build concept and to aim for the mandatory build-then-sell (BTS) system. “This would force industry players to place even greater emphasis on buyers’ requirements, thereby putting an end to substandard quality and the fear of buying new homes. It would also curb overzealous building and reduce the overhang,” Chang explains. He points out that foreign buyers, including Malaysia My 2nd Home buyers, would also have the confidence to purchase properties should the BTS concept be implemented. 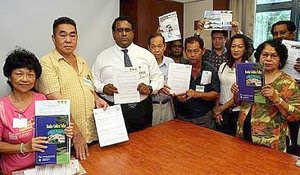 Christopher John (third from left) with the aggrieved house buyers of the abandoned Bandar Golden Valley Golf Resort development holding copies of the sale and purchase agreements and brochures of the project. Construction was to begin in 1999 and it primarily involved bungalow lots with a starting price of RM69,000 o nwards. He is peeved that no one has offered to provide a clear picture or explanation of what was happening. “This went on for years, with no one giving a straight answer as to what was truly happening. Purchasers were being kept in the dark, but we were still being told to continue to pay,” Christopher says. When contacted, an MBSB spokesperson said that its role in the project was to provide financing while Yeng Chong would develop the land. However, things did not happen as planned due to some “issues” and the project failed to take off. It is further believed that MBSB is taking legal action against the developer. A small group of buyers have formed the Bandar Golden Valley Action Committee (BGVAC) to coordinate its actions. Recently, with the help and advice of the National House Buyers Association, the committee met up with the Public Complaints Bureau, bringing together Yeng Chong, MBSB and the purchasers for the first time. Unfortunately, he says that there has been no further meetings. “Nothing has been settled and the situation is a stalemate”, says Christopher. However, the MBSB spokesperson says it is planning to have another meeting with the buyers and developer to find “an amicable solution.” “The BGVAC comprises about 80 people. We want to reach out to the other buyers who are probably still paying and don’t know that the project has been abandoned. We also want our money back – at market value and with interest. I think it is only fair,” Christopher says. CIVIL engineer, Mahyuddin Zahia (pix), 38, is still paying RM300 per month for a loan taken out for an apartment he has yet to receive. To date, he has paid over RM20,000 for the medium cost apartment he bought nine years ago which has been abandoned. Juta Permai (M) Sdn Bhd, the developer of the 760 units of Damai apartments in Subang 2, Shah Alam, was supposed to complete the project and hand over the units to the buyers in 2003. “About 253 buyers were fed up with the long delay and decided to sell back their units to Juta Permai for some money that was less than 10% of the unit cost,” he says. According to Mahyuddin, Juta Permai last year sold 23.29 acres of land near the Damai Apartments to a local university for RM20.29mil. The Subang 2 Bandar Pinggiran Subang Buyers’ Action Group’s committee, which was set up in 2003, has tried to approach all the parties including the bank, the Housing Ministry and media to resolve this issue but with little progress. “We have run out of ideas on what else we can do to ensure the completion of the project,” says Mahyuddin. WCT Bhd has won four contracts worth a total RM766.5 million to build infrastructure at Medini Iskandar Malaysia, in Johor. Work involves building roads, sewerage pumping stations and electrical sub-stations, among others. They are to be completed by July 2011, it said in a statement to Bursa Malaysia. The job was awarded by Medini Iskandar Malaysia Sdn Bhd, the subsidiary of Iskandar Investment Bhd, the strategic developer for Iskandar Malaysia.